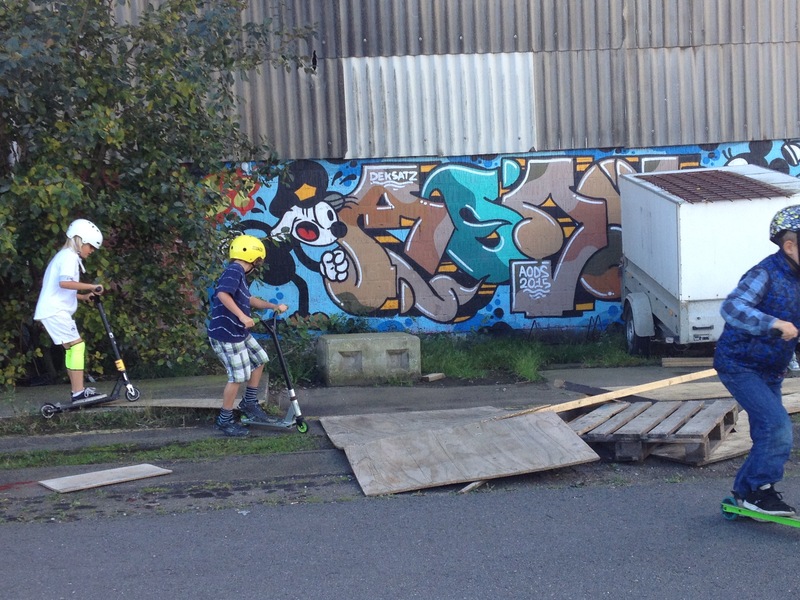 Open everyday of the week, Port 4310 is the best indoor place for kids to use their new trick skooters or skate boards. They have specific hours for older kids, skateboards only and inline only, which makes the open hours safer for younger kids. In a converted warehouse out in Refshalev area of Copenhagen, three skating buddies have created the coolest indoor skate park. 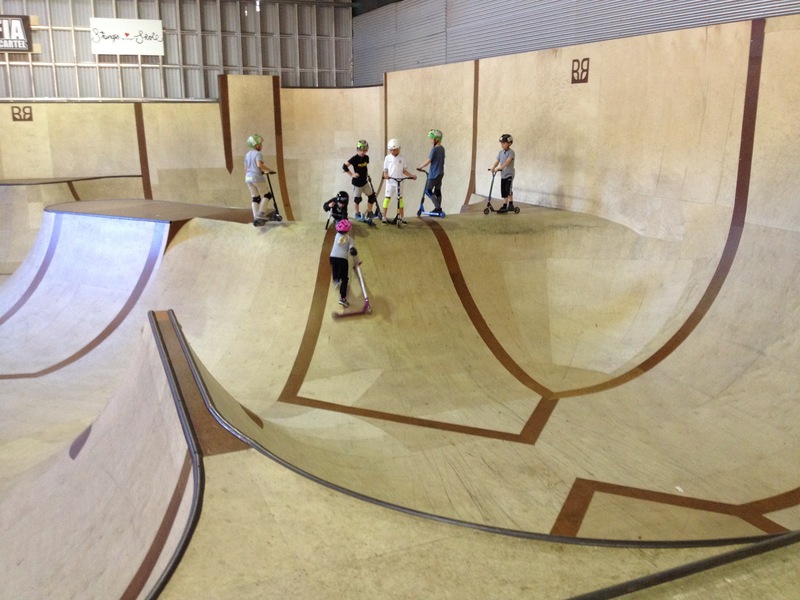 Unlike any you’ll find in Copenhagen, this indoor skate park has three areas: The Bowl, which you have to take the plunge to get into or for beginners, you can slide in and have mom or dad lower down your skooter to you. The slide in is part of the fun! The ramp which has the coolest rope swing that you can dive into a huge pit of foam. And the runway, which have three alleys that kids can go up and back in repeatedly for hours. There are some mini jumps and a ton of fun to be had. Practical: there is plenty of parking, you can enter through either gate if you don’t want to drive through the confusing warehouse parking lot that leads you to the paintball area, you can take the second gate past that and you get there faster. Let your gps guide you. For those who want to learn how to ride a skooter or skateboard, they also have a skating school. Here is a link to their website and a link to their facebook page. Lora is owner and editor of Mini CPH. Lora seeks out adventure and loves exploring new cities with her Danish Hubby and two curious boys. She opened a consulting firm after running the U.S. based International children's brand, Zookies for 14 years. She advises businesses on strategies for revenue growth, digital, startups and social media.